In a way it was anti-climatic since she had the 27 points needed for induction for quite some time now. But the LPGA rules state that you have to be on tour for ten years. I think it is a terrible rule as it prevents players like Lorena Ochoa, who has the points but not the time, from being inducted. Why punish her for doing it in a shorter span? Isn't that even more impressive? Okay, that's a topic for another time. Getting back to Inbee, what is so impressive about her (aside from the obvious) is what an impressive speaker she has become. Every sentence is so well thought out and she has become one of the best interviews on tour. 9- Five First Time Winners. I am such a sucker for first time winners. I could be rooting for another player other than that first time winner, but when that last putt drops you completely forget that it didn't go your way, and it gets very emotional. We certainly had plenty of that this year with Ha Na Jang, Jenny Shin, Ariya Jutanugarn, Carlota Ciganda, and Charley Hull, all winning for the first time. 8- In Gee Chun Wins Evian Championship. I am not a big fan of this tournament being a major championship. I think that there are other events that deserve it more, like the Canadian Open whose names I won't mention. That said, it is a major and I will have to treat it as such. 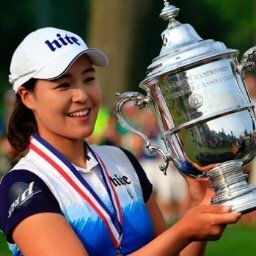 We all know that In Gee won the U.S. Open as a non LPGA member. I have always felt that it is that second major championship win that validates the first one. In Gee certainly did that by winning this one by four strokes. 7- Brittany Lang Wins The U.S. Open. Since this is my very favorite tournament of the year, it is always going to be on this list no matter who the winner. The fact that it was won by Brittany, one of the most approachable players on tour, just made it that much more satisfying. The controversial ending (Anna Nordqvist receiving a two stroke penalty), doesn't change the fact of how well Brittany played. 6- The CME Group Tour Championship. How can you possibly plan for anything to be this exciting? If this was a boxing match, I would have said it was fixed. I know that the way they reset the points before the beginning of this event, that the race for the 1 million dollars is going to go down to the very end. That didn't surprise me. But how after thousands of strokes, does the Vare Trophy go down to the very last putt on the very last hole? This was golf at its best. You could not have scripted this. 5- Se Ri Pak Retires. Stating what Se Ri Pak meant to the people of her country, and how she changed the face of the LPGA, would only be repetitive. Seeing players of every age (even retired ones) and from every country, line up on the 18th green at the Hana Bank Championship, is something we will not forget for a very long time. I am sure that Se Ri Pak's retiremnet will be on the top of many 2016 lists. 4- Golf Returns to the 2016 Olympics. I was a bit nervous before this one played out. As it turned out I had nothing to worry about. It was a very big success. Inbee Park. Lydia Ko and Shanshan Feng all won medals. Stacy Lewis missed by one stroke, Brooke Henderson and Minjee Lee by two. It was exciting to watch. While golf's future in the Olympics is still uncertain, we have Tokyo to look forward to in 2020. 3- Brooke Henderson Wins KPMG Women's PGA Championship. It will be remembered for a long time as the showdown at Sahalle. 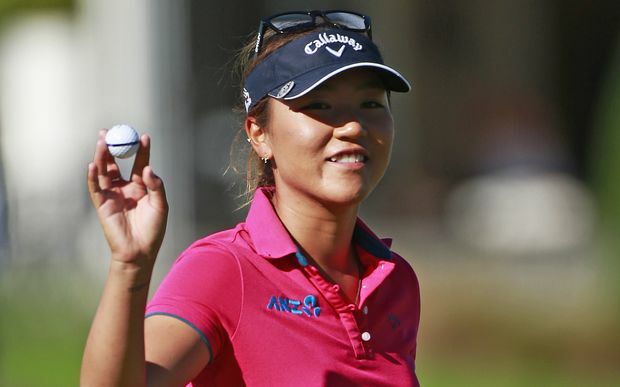 After being tied at the end of regulation, Brooke and Lydia Ko went into a playoff. Brooke made what was in my opinion the shot of the year (considering the circumstances). She left her approach shot to the 18th green (the first playoff hole) just 28 inches from the cup. When she made the putt, she had her first major championship (Kudos to Lydia for being the first player to run up and congratulate her). Brooke Henderson Wins Her First Major Championship. 2- The United States Wins the International Crown. Lets face it, it was a lousy year in 2016 for American players. Maybe that is part of the reason that I rate this so high (Spain's win in 2014 was #8 on my list). The fact that this is not an official tournament (neither was the Olympics), doesn't make it any less exciting. I was there, It was highly competetitive, the players were really into it, the team press conferences were classic. Team USA played great golf. 1- Ariya Jutanugarn's Month of May. We have not seen anything like this in quite some time. It is quite fitting that her nickname is May, since she won three times in that month. It was a dominant display of golf where she certainly put her name in the conversation of who is the tour's best player. She went on to win 2 more times, including her first major championship at the Ricoh British Open. She would also win the Player of the Year award, the 1 million dollar CME bonus, and finish on top of the year's money list. Ariya Jutanugarn dominated the LPGA tour in 2016 with her 5 victories. Please feel free to add your own favorite moments in the comments section. I would like to hear your opinions. The LPGA released its Priority List for the 2017 season this past week. 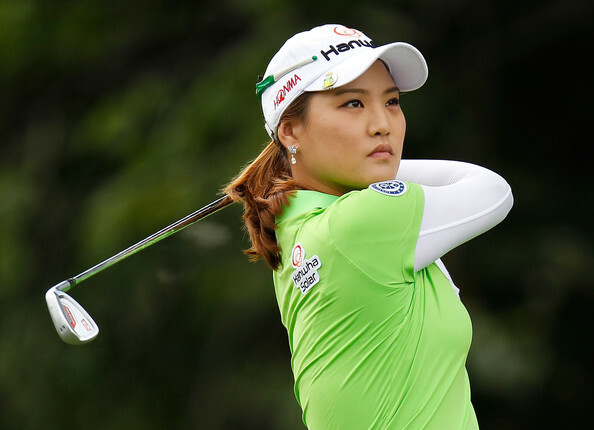 Who is the highest ranked player on that list, that has never won an LPGA tournament? I want to thank all my readers for making 2016 a record breaking year. 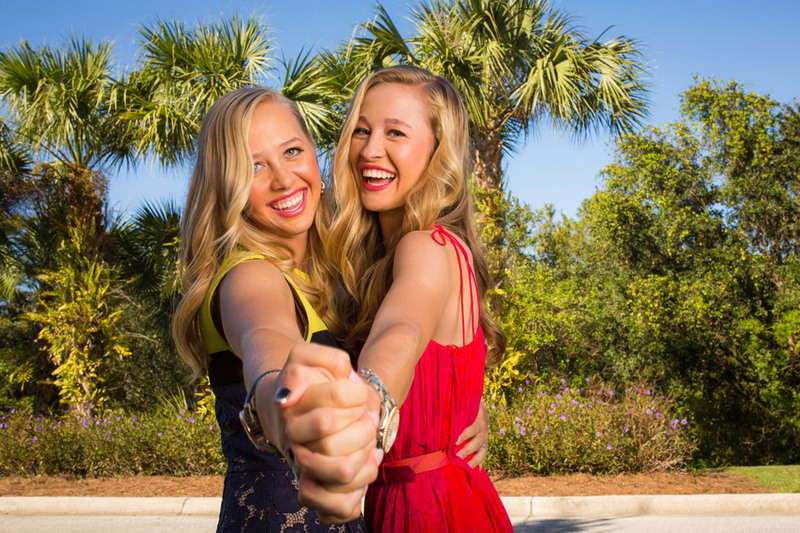 The LPGA has been gaining fans, and this blog has shown a 15% increase over last year. I want to wish everyone a very Happy Holiday Season, and a let's make 2017 the greatest year ever!